Partner with local and regional organizations, and volunteer groups to increase services and programs that make it possible for residents of all ages and abilities to thrive in Bowdoinham. Provide activities geared to keeping people healthy, active and engaged in our community. Advise the Town of Bowdoinham Select Board about infrastructure and policy that will make it easier and safer for Bowdoinham’s residents to live in our community. Vision: To foster changes in the physical and social environment that will make Bowdoinham a better place to live for people of all ages, especially for older adults and for people living with disabilities. The purpose of the Advisory Committee on Age Friendly Bowdoinham is two-fold. They advise the Select Board about policies and infrastructure changes that will support aging in place. In that capacity, ACOA has recommended changes to increase accessibility of town owned buildings and public spaces that have been implemented by the Select Board. ACOA also tries to increase the recreational and social opportunities available to older residents. 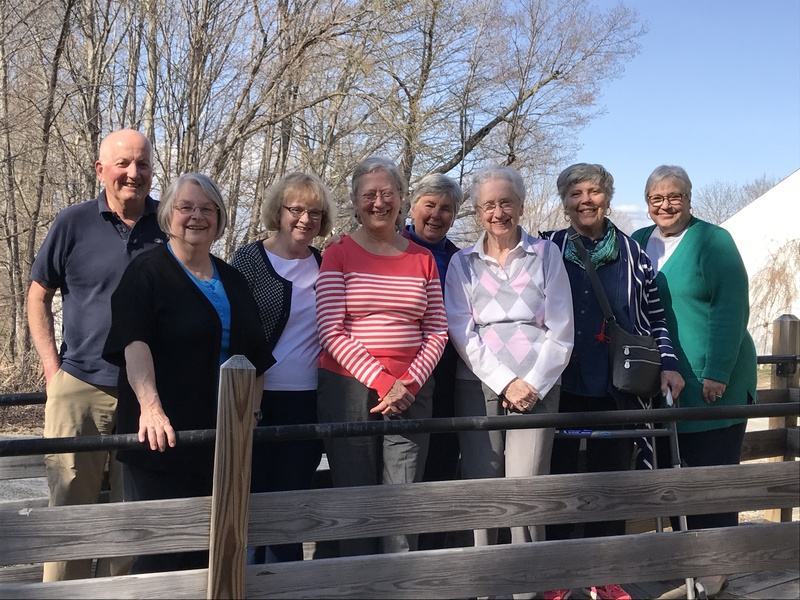 In the last three years, the Advisory Committee on Age Friendly Bowdoinham has sponsored senior centered, volunteer-led exercise and recreational programs, lifelong learning opportunities, local trips, & an annual aging well(ness) fair. ACOA also fosters the development of services to support aging in place. Accomplishments in that area include the creation of Rides In Neighbors Cars and coordination with the Village Masons to form the Handy Brigade. A 9-11 member board of Bowdoinham citizens is appointed by the Select Board for a three year term that can be renewed. When help is needed on a particular initiative, such as the Annual Wellness Fair, planning wellness programming, working on accessibility or communication, members recruit non-members to participate in sub-committees. Sub-committee members are not appointed by the Select Board. Their work is exclusively for a particular project, program, or strategy. The Advisory Committee on Age Friendly Bowdoinham does not offer direct services unless they have identified a gap that volunteers can fill. The ACOA partners with other organizations to increase access to services and to create additional social and recreational opportunities for Bowdoinham residents. UNUM Insurance (technical assistance for the “tool table” initiative. Other partners may include: Brunswick Area Respite Care; Cathance Fitness Center; UNE Dental School; CHANS Home Health and Hospice; Head to Toe Physical Therapy; Access Health; Alzheimer’s Association; Midcoast Hospital; AARP; and Disability Rights Maine. 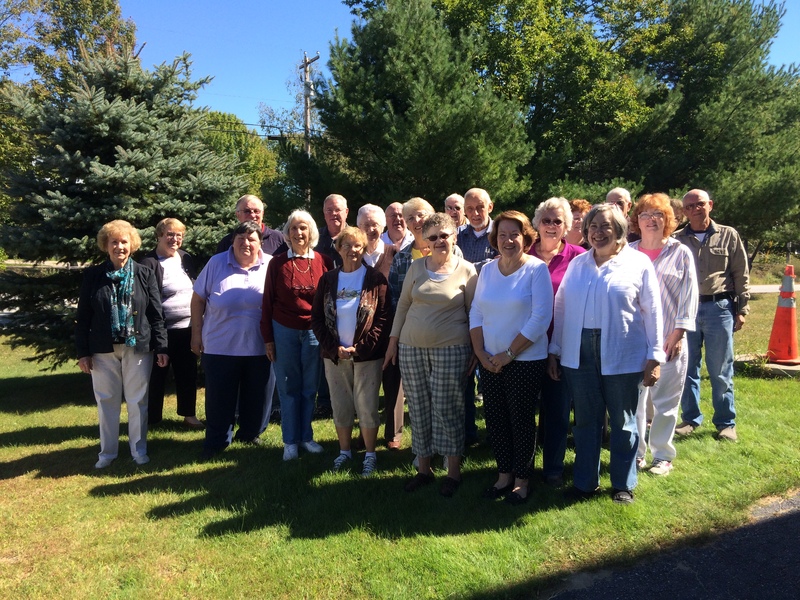 The work that the Advisory Committee on Age Friendly Bowdoinham does is supported by about 75 volunteers who lead exercise classes, organize events, and work on ACOA initiatives, such as monthly luncheons. 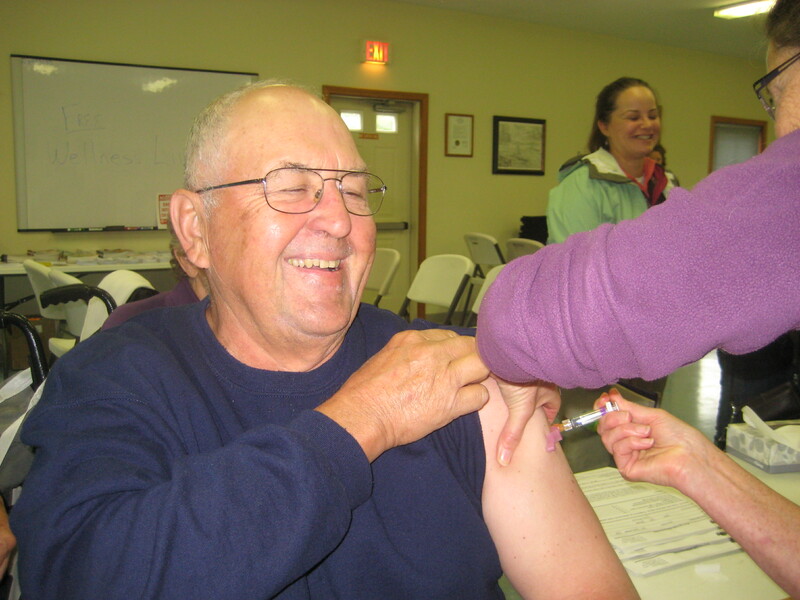 Generally, new volunteers work with someone who has experience volunteering with ACOA. The Chair of the ACOA is the point of contact if a resident has a complaint about a volunteer. The Chair also talks with program participants to learn about their experiences with a volunteer. ACOA recognizes that changes must be made within the structure of community capacity, local values, and the preferences of older residents. ACOA is part of a larger community so works with partner organizations whenever possible. All of the ACOA members are volunteers, as are the people offering services and supporting ACOA’s efforts in the community. We have developed an understanding of the need to protect volunteers from burnout. ACOA benefits from the support of municipal employees and from the guidance and support of the Select Board. When programs such as SEARCH and Morning Call programs exist, ACOA does not try to re-create those services but tries to find ways to promote access to the service by Bowdoinham residents. Age-Friendly Bowdoinham provides technical and administrative support for Rides in Neighbors Cars (brochure attached), an all-volunteer door-through-door transportation program that provides non-emergency medical rides as well as rides to any other activity (including errands and social visits) in the area that residents of Bowdoin and Bowdoinham age 60+ or living with a disability needs or wants. We have enrollment forms (for volunteers and passengers) and the volunteer driver mileage tracking sheet that we are willing to share with any community that is interested. Age-Friendly Bowdoinham assists in the coordination and communication of the Mason's Handy Brigade, as well as makes referrals to this service (brochure attached). The Village Lodge Handy Brigade provides home repair and maintenance services without charge to older adults who live in their own homes. The only cost is for the parts needed. Work is done by volunteers who make it their mission to help people in Bowdoin, Bowdoinham, and Richmond. Most are members of the Village Lodge. Handy Brigade Volunteers are not licensed carpenters, plumbers, or electricians. They are just people who know how to do simple home maintenance and basic repairs. When a person requests help, the Handy Brigade will decide if the job is within their expertise. If it is, the Handy Brigade volunteer will write up a work order for the job. If it is a job for a professional, they will refer the person requesting help to a professional and, if requested, will help the homeowner oversee the work done by the professional. We have work order sheets that we are willing to share with any community that is interested. Annual Wellness activities (sample brochure attached). Programs to keep people of all ages with special medical needs, chronic health conditions, or restrictions on mobility safer in our community. Programs that increase recreational opportunities for people of all ages and abilities. 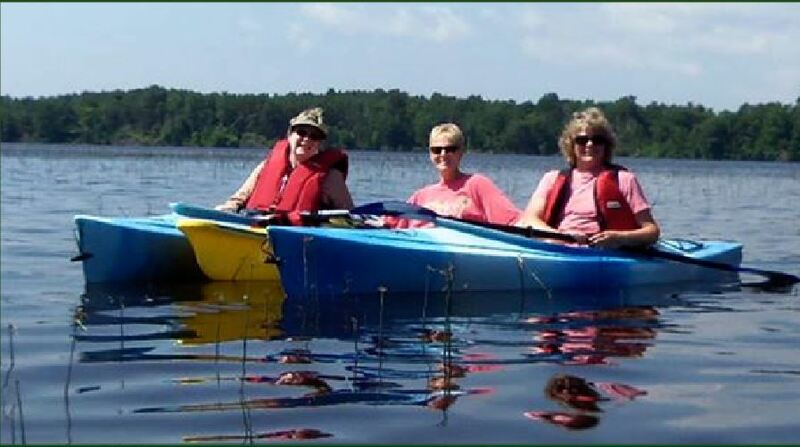 For example, Bowdoinham Outdoors is a group for active, healthy 60+ residents who hike, kayak, bike, snow shoe, and cross-country ski together. We also have an inside (winter) and in-town (summer) walking group for people who prefer a shorter, more level walk. Exercise programs (e.g. Gentle Yoga and Line Dancing) that are suitable for people of all abilities. Promotion of existing exercise programs that are available to residents either through our Recreation Dept. or through the Cathance Fitness Center in Bowdoin (e.g. Silver Sneakers, Zumba, Pickelball). 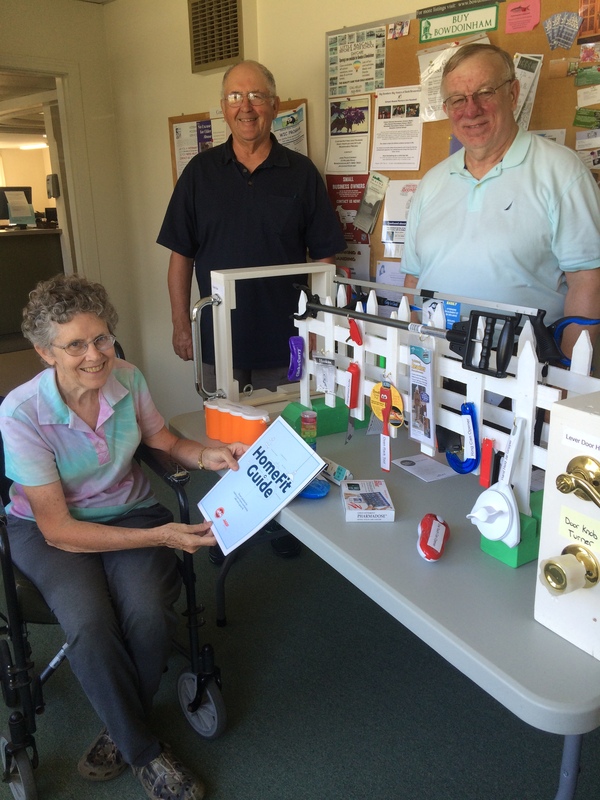 Age-Friendly Bowdoinham has partnered with the Bowdoinham Fire Department to provide a Durable Medical Equipment Loan Program. We have forms policies and procedures that we are willing to share with other communities. The ACOA provides a monthly resource and event calendar that is distributed by email and postal mail to area residents (Richmond, Bowdoin, Bowdoinham) who request it. Our calendar is also on the town website, is featured on our Facebook page, and is distributed in various places around town where people are likely to see it. We have also completed a resource guide that is available at the town office. Special events are advertised in the Times Record. The town’s bi-monthly newsletter includes an article submitted by ACOA. 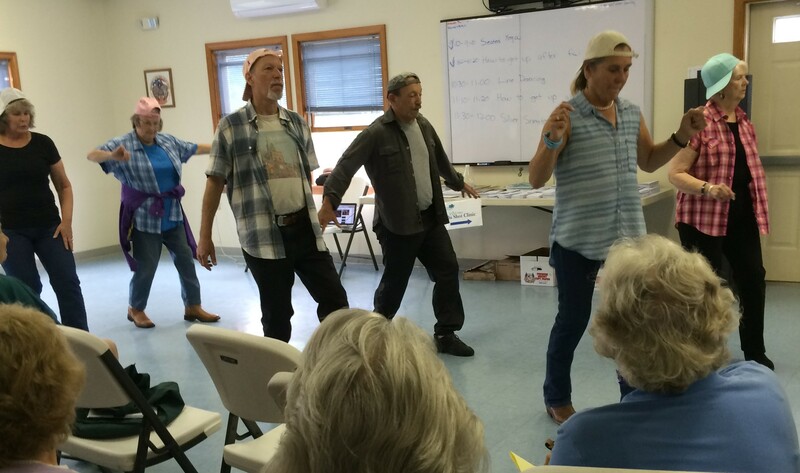 Bridge, Tech Time, Line Dancing, Gentle Yoga, Cribbage, Craft, Laugh, and Learn. Residents can refer to the monthly calendar for specific time, dates, and locations and more detailed descriptions of activities. we may offer an educational or recreational topic, or a friendly game of Bingo. Popular topics have included slides from trips, talks about Native American History, visits by regional organizations to explain services available, and sing-alongs. Residents can refer to the monthly calendar for specific times, dates, and locations. Below is a video that provides an example of one of the social programs Age-Friendly Bowdoinham has provided for residents in the past. 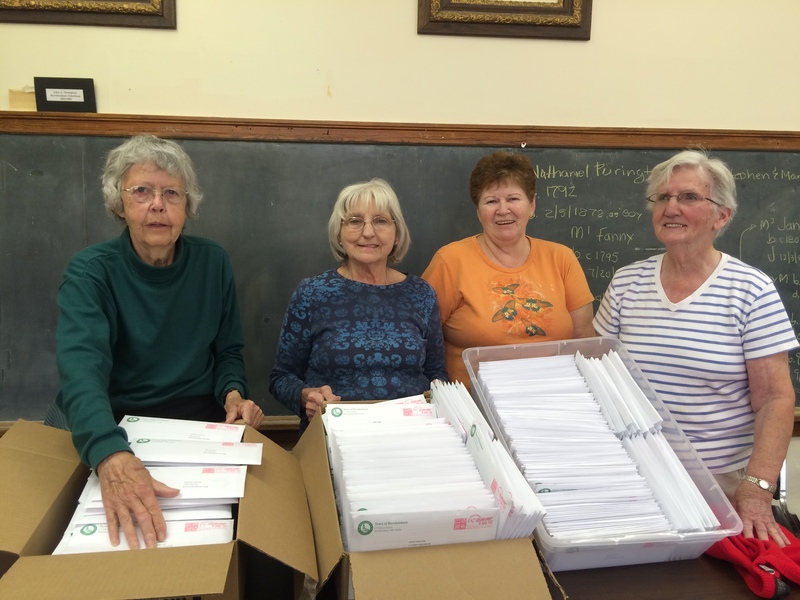 Age-Friendly Bowdoinham partners with the food pantry to help raise needed funds, to educate residents of all ages about food security, and to increase awareness of the resources offered by the food pantry. For example, the food pantry put on a "pop-up" food pantry at our Annual Wellness Fair. We have partnered with Access Health and the food pantry to offer two classes on Healthy and Frugal eating that were very popular. Age Friendly Bowdoinham also participates in the Not Your Mother's Garden Club, which meets monthly and was formed by people from Bowdoinham, Richmond, and Bowdoin. Membership is open to anyone in these 3 towns and any other town interested in joining. The Advisory Committee on Age Friendly Bowdoinham has recently received a grant to build raised garden beds and will be including this project into their initiative. The Advisory Committee on Age Friendly Bowdoinham promotes a monthly Care Partner Support Group that is offered by Brunswick Respite Care. Age-Friendly Bowdoinham provides resources related to elder abuse for community members when available. Age-Friendly Bowdoinham sponsors an annual World Elder Abuse Awareness Event. In the past, we have talked about domestic violence, scams, and other important topics related to elder abuse at this event. An example of this event is provided in the video below from 2016, which was organized around a skit, "Stories from Around the Quilt" written and performed by the Bowdoinham Age-Friendly Players. Stories From Around the Quilt from Jeff Fischer on Vimeo. To increase awareness of the tools available to make everyday life easier, Age-Friendly Bowdoinham developed a "tool table" with items that can be borrowed and tried in the home, through the Bowdoinham Public library, for up to three weeks. More information about Bowdoinham's tool table can be found on the back of the Age-Friendly Bowdoinham brochure (attached). Detailed instructions and a list of tools will happily be shared by Age-Friendly Bowdoinham. Moving book return box from stop of stairs of the library to parking lot level so that people can drop books off without climbing stairs. 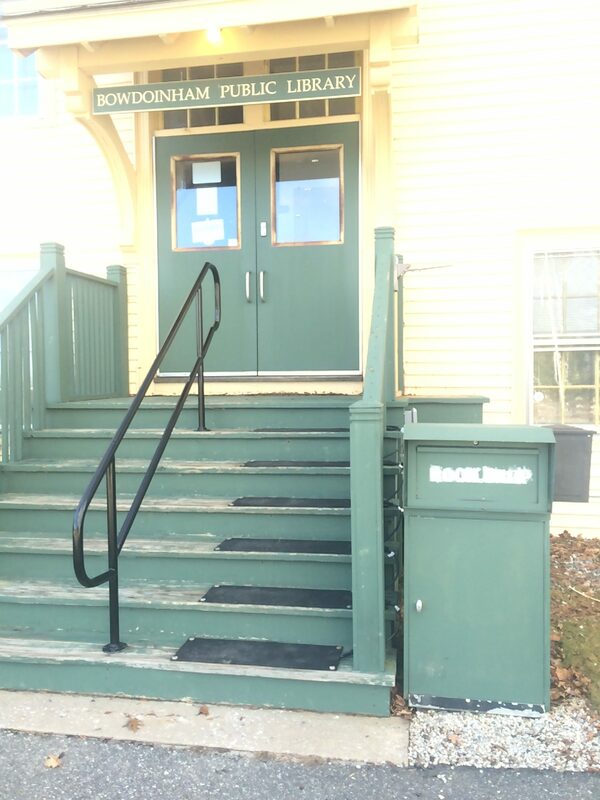 As an activity of Age-Friendly Bowdoinham in conjunction with the Advisory Committee on Age Friendly Bowdoinham, the Bowdoinham Fire and Rescue Department will be distributing 5- gallon buckets of winter sand this winter. This program is designed for those residents who cannot pick up their own sand from the courtesy sand pile located at the Public Works Facility. Print (including posters), FaceBook, email, postal mail, and word of mouth.